Several aspects came together when I embarked on this project. There is the contentious social issue of father absence, particularly problematized as an “epidemic” in African-descended communities. The visual representation of Black fathers has remained stuck on both sides of the debate: On the one hand you have prevalent stereotypes of deadbeats who are often seen as prolific sperm donors, but rarely shown as competent and present fathers. On the other hand you have the “antidote” – the patriarch who espouses traditional marriage and family values, the celebrity dad, and other “hero” archetypes that are held up as role models but are equally limiting in their depiction of reality. What tends to get lost on both sides are examples of the everyday Black father who strives to be present in many different ways without necessarily conforming to the formulae above. Anecdotally, we see these fathers in action on a daily basis and we know they exist in much greater numbers than the media want us to believe. 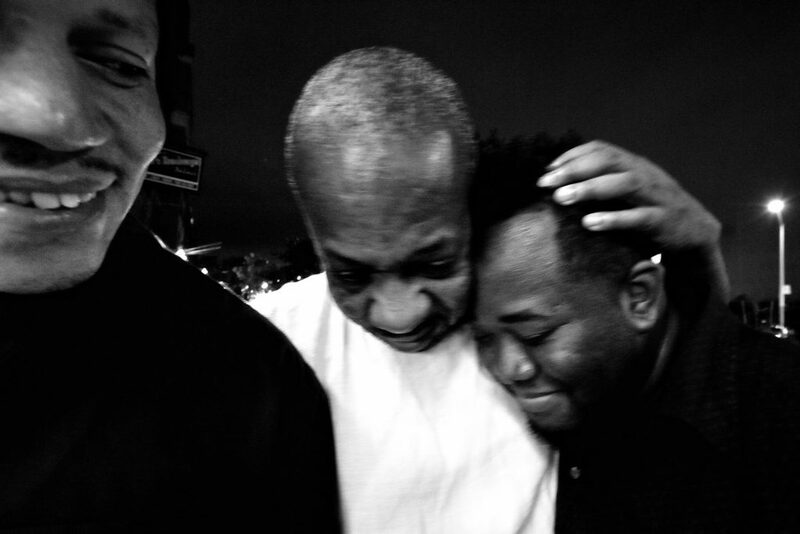 It was these fathers and their parenting context that I became interested in photographing. On a deeper level, I have a personal stake in this issue in that I learned several years ago that my biological father was African American. This doesn’t mean that I grew up fatherless: I was raised in a household with both mom and dad present, but I had always assumed this father to be my biological one until the surprise discovery. I harbored a great deal of resentment over this history and undoubtedly the negativity surrounding absent Black fathers played a role in it. For a long time, I saw myself as part of the common “absent Black dad narrative” and didn’t really have a desire to examine what is actually behind the stereotype. I had a lot of unanswered questions, and unfortunately my family hasn’t been forthcoming with support, nor is there any information available regarding my biological father’s whereabouts. So the only way to come to terms with my anger and resentment was through this project. It took a long time for the whole project to come together. I didn’t have any prior experience shooting a long-form project, so it was all trial and error. I researched the topic and reached out to community organizations to help me with the decision of what fathers to look for. I contacted friends regarding suitable fathers, approached potential subjects on the street, scoured social media and even had a fixer for a while, though that wasn’t so successful. After several months, I realized I needed to delve into the actual lives of some of these families to witness the kinds of moments I would not be privy to otherwise. I narrowed down my focus to maybe five or six households that trusted me enough to allow me into their most personal situations. This way, I could record the unguarded father-child interactions without feeling like an intruder. Was it difficult to shoot on an issue that is so personal? Was the process therapeutic? Absolutely. In the past, any time I would see visuals of loving Black fathers on television, I’d change the channel. 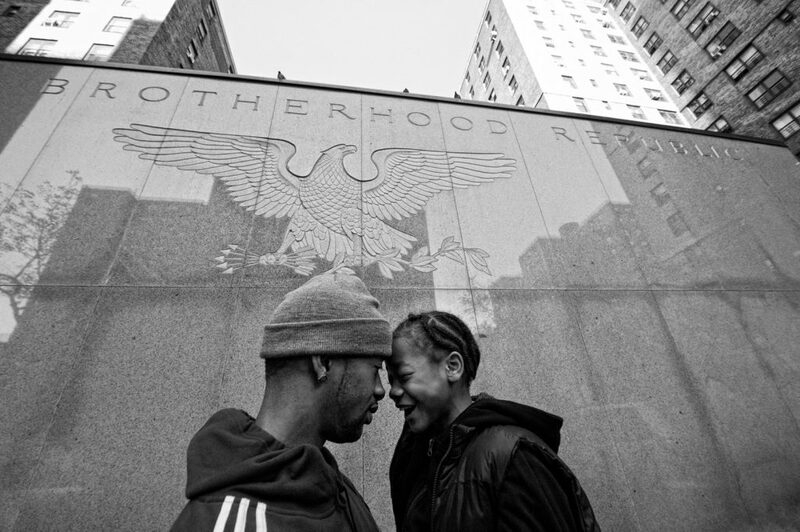 But others had also remarked that a lot of my early street photography would center around fatherhood themes. So there was definitely a lot of resistance to overcome, but I also chose to work with the kinds of families whose energy and openness made it easier for me to hang around and return again and again. Over time, you literally become part of whatever family you’re working with, and so I’d often just drop in to say hello and catch up, rather than looking to spend my time photographing. Was the process therapeutic? I’d say more cathartic and redemptive than therapeutic. There was a lot of frustration that built up during this project – the logistics, struggling with access, the need to have to be “on” all the time waiting for some significant moment to pop off. Plus, so much of what I witnessed in terms of those quiet, loving, affectionate father-child interactions – all of this was something I wasn’t used to from my childhood, so it was hard for me to process what was going on. I wasn’t necessarily aiming to shoot what I was missing from my childhood days (after all, what you don’t know you can’t miss…) but witnessing these moments did enable me to build a family scrapbook of sorts. You know how you stumble upon an old family album and it feels great to relive certain moments by browsing through it? Shooting the project almost gave me that kind of feeling. And I think this was important in terms of replacing my resentment with something positive, to let go of the hurt and get to a place of forgiveness. What’s the craziest thing that happened while shooting? I’m not sure anything really outrageous happened during a shoot, but there was an intense period of a few months in late 2012 to early 2013 when several of my subjects passed away, some of natural, others of unnatural causes. I wasn’t present in those moments, but I did attend the homegoing service for some of the families. This definitely took the wind out of my sails for a bit but also reminded me of why I’m doing this work. How have different communities embraced this project? The feedback from the Black community has been overwhelmingly positive, especially in the US and the UK. I’ve received a lot of support from many families, community organizations, and academicians early on, and that support was instrumental not only in keeping me going, but also in getting the work out via social media and otherwise. What struck me was how visceral the responses often were, not just with respect to the images themselves, but with respect to the fact that I had taken on this project to begin with. 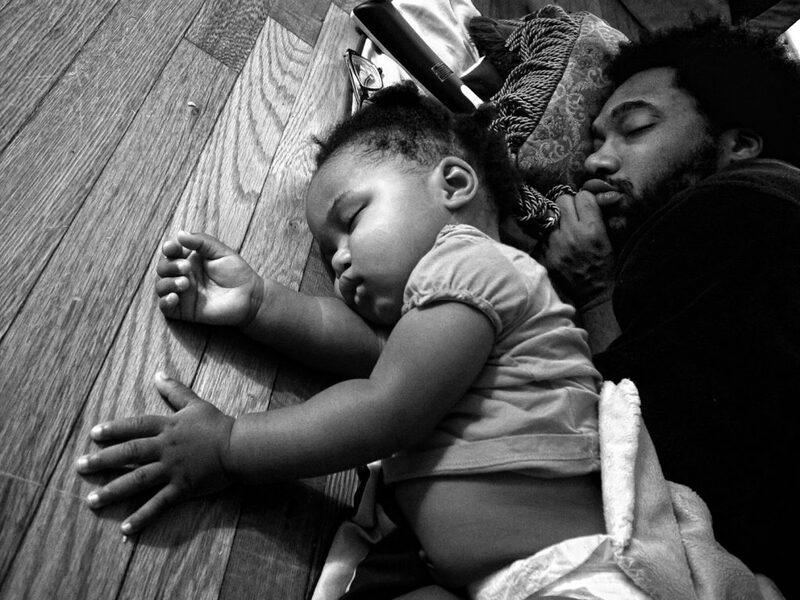 Many in the community felt that showing a balanced perspective regarding Black fatherhood was long overdue, but there was also a sense of resignation about why these images didn’t exist in the first place. Broader feedback from other ethnic communities has been rather thin. Not that people didn’t care or cannot relate intellectually to why I’m doing this work, but there simply isn’t the sense of urgency and frustration with respect to this issue in other communities. There certainly has been plenty of individual feedback, and especially parents regardless of background can easily relate to the images. But outside of the Black community, I haven’t observed anything close to what could be called a “community response”. Has working on “Father Figure” changed how you view your own fathers, both the biological and the one you grew up with? This is probably the biggest breakthrough for me, because I harbored a lot of resentment towards both fathers and my mother and through this project I found a way to forgive them. Not that I’m seeking to resume any kind of relationship with them, but it was about letting go of anger and the notion that they could have done anything differently. They did the best they could, given the circumstances and the information they had. This doesn’t mean exculpation, but it does mean acceptance on my part. A lot of photographers start a project, but find it hard to maintain the motivation to see it through. How did you stay motivated and what inspired you to continue? To be honest, there have been many times when I felt like calling it a day, and I’ve taken some long breaks in between periods of shooting. Getting the work done meant a lot of sacrifice and trade-offs, and it came at the expense of many friendships and relationships, both personal and professional. Key for me to stay motivated was the focus on a subject matter that personally means a lot to me and made “Father Figure” more than just another project to complete. The support from the community, key people in the photography industry, and last not least the families themselves pulled me through in the worst of times. You contributed to the book “(1)ne Drop: Conversations on Skin Color, Race, and Identity” – how was that? Did that experience shape your own work in any way? First off, I have to thank Dr. Yaba Blay for allowing me to contribute to her groundbreaking work and for giving a voice to my story. It all started when I thanked Dr. Blay on Facebook after (1)ne Drop had been featured as part of CNN’s “Black in America” series. Many conversations later, she invited me to her book project both as a contributor and contributing photographer. That was such an important experience for progressing “Father Figure”, because I approached the topic of Black fatherhood from a perspective of identity as well. Many people want to discuss my work solely from an angle of overcoming dysfunction and negativity but that’s not the whole equation. An aspect of equal or perhaps greater importance is the fact that the Black community has shaped my identity since I was young, way before I actually learned about my biological father. Without that history, I wouldn’t have had the perspective or relationships to pursue “Father Figure” the way I did. “Father Figure” is therefore also a tribute to a community that has always embraced me and given me a sense of home. You’re in the process of publishing your first book (with us!) – How does that feel? Fantastic! It’s still hard to believe. The thought of holding something tangible in your hand and what that means, it still hasn’t fully sunk in yet. Getting to this point was definitely a lot more work than I anticipated, but it’s a great learning experience, too. It also helps to collaborate with a great production team that “gets” the work, is passionate about it and is prepared to put the same amount of sweat equity into it as I am. So, thank you, ceiba! First and foremost, making this book available to the people that supported me, especially the families I worked with, that’s my first priority. Sure, emailing images and gifting prints is meaningful but to be able to produce an actual book is a rite of passage of sorts. It shows that you’ve done a certain amount of good work that’s ready to see the light of day, and I hope it can set the stage for more good work to follow. Content-wise, I hope that this book can contribute to a more balanced conversation about Black fatherhood (and about the issue of visual representation of Black males, period). Once the book is launched and you have it in your hands, will it feel like the end of the road for “Father Figure” or will you continue this work in some way? This is my rookie long-form project and I still have so much to learn as a photographer and storyteller. I know I would not be shooting “Father Figure” the same way three years from now. In many ways, I feel the work is far from done yet, and the book launch will probably intensify my involvement with the subject matter in additional ways. I definitely want to stay engaged with the community and use any potential momentum to enable productive conversations in different settings. In terms of photography, I will continue working with one or two families to whom I’ve grown particularly close. Their dynamics are unique and things have evolved into their own respective spin-off projects. In addition to the “Father Figure” spin-offs, there are one or two street photography projects I’m aiming to complete, one of them a series of street portraits in San Francisco’s Tenderloin district that I’ve put on hold. I’ve also begun research on two new long-form projects and will determine this Summer/Fall if I have enough to begin shooting. What advice do you have for other emerging photographers out there? I’m not sure if I’m in a position to give advice to anyone, everything is still so new for me and I’m absorbing and learning as I go. I’ll share some insights that worked for me personally, but these may not work for everyone. • Figure out who you are as a human being and as an artist. Granted that is going to be a different process for different people, but I believe without a firm sense of who you are, your work won’t really speak with its own voice. I’m not saying you won’t be able to shoot amazing work. It just won’t resonate as “you”. • Get some good mentors and be prepared for some tough feedback. The mentors are not there to give you moral support and they don’t have to be aligned with your style of shooting. But they should be fair and honest in their assessment of where your work is and where it needs to go. • Don’t be afraid to tackle a subject that tells your own story and requires a level of vulnerability. For “Father Figure”, it required a certain level of sweetness and a deliberately touching vibe. For me, that’s actually difficult to shoot. Much more difficult than, say, mangled bodies, severed limbs, and blood. That’s easier for me because I was trained to deal with that, after all. • Define for yourself what “visually compelling” is and don’t be afraid to pursue that. Not what you think people want to see or what you think will make you popular. • Take all the feedback you can get, take it to heart, and then do what feels right, regardless. Trust your instincts. 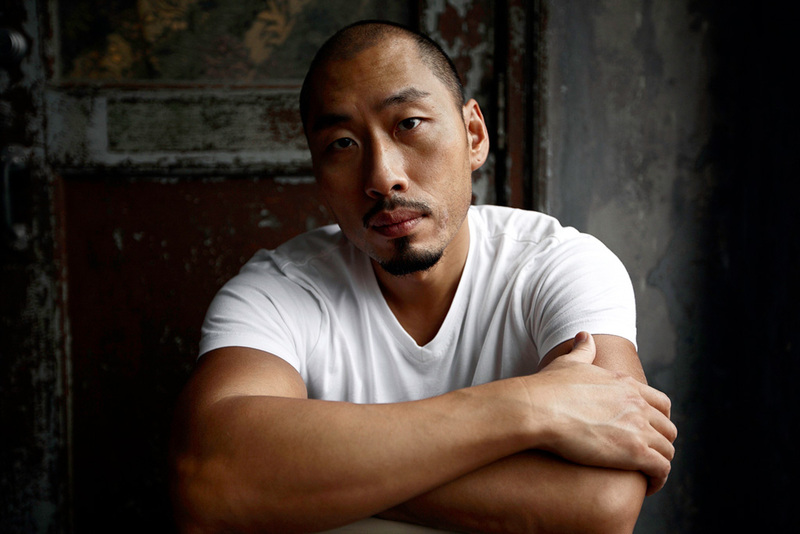 Zun Lee is a physician and visual storyteller who lives in Toronto, Canada. AWESOME project, GREAT interview, and I can’t wait for your book to drop! You can feel the passion in Zun’s work and his advice to emerging photographers seems like it was written for me. Thanks for the inspiration!! I’m very glad to see Zun Lee featured in your debut issue. Good choice, good interview, great Zun Lee photos and excellent photo by Carolyn of Zun. BTW, at some point during the photo session when she made this image, I happened upon the scene and got a few snaps of her photographing him. And Ceiba is a book publisher too and is going to publish Zun’s book? Congratulations to the both of you. I’m impressed with this first issue of Ceiba and look forward to what it will develop into. I have been following the Zun and his father project for the past couple of months and find myself deeply moved by him and his work. Your interview manages to show the depths from which he lives and works. I would love to see this interview go viral! Thank you for publishing his book. It will be a treasure.